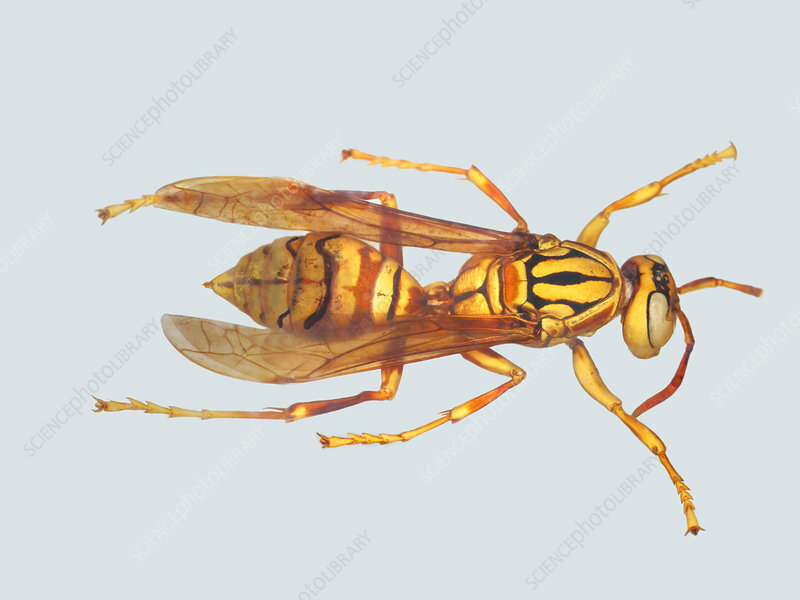 Whole mount of a Yellow Paper Wasp (Polistes olivaceus), dorsal (top) view. This wasp is capable of delivering a painful sting. Magnification 2x when printed at 10cm.